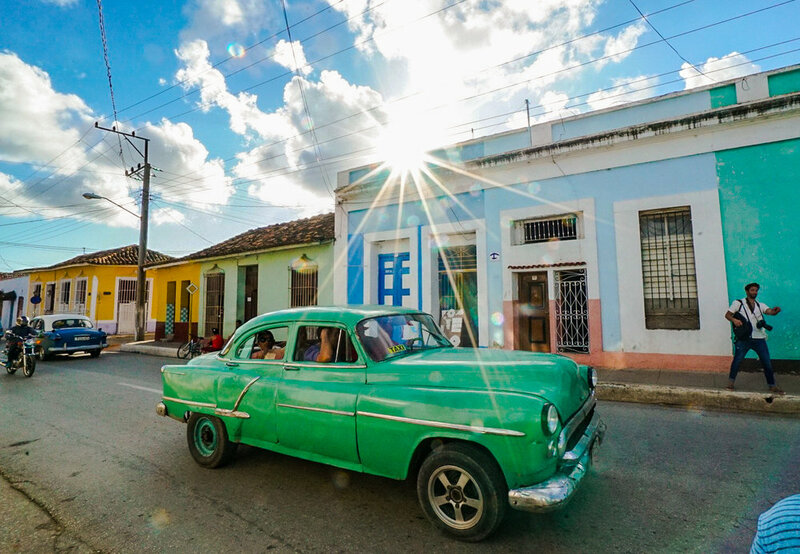 During the extent of a fifty-four-year embargo, Cuba has remained a mystery to the American public, yet with the recent move to re-establish relations with the US, curiosity seekers can now see what the country really has to offer. What travelers will soon come to realize is that all of Cuba is a museum. We have all seen the photos and heard the tales of Detroit’s finest classics rolling down the streets in Cuba. If there is one thing that the Cuban people are incredible at, it’s the art of improvisation. Their ability to make something from nothing has allowed them to keep these 1950’s American classics running all of these years, and their resourcefulness shines through in everything they do. It is true that the roads both inside and outside of Havana are in disrepair and that many of its structures are in poor condition, yet despite the dilapidation, the capital city is still stunning in all of its authenticity. So untouched by time that it’s almost beyond comprehension for a modern day American girl like myself. Being one of the first American women to legally visit the country when it was on the brink of change, I am often asked for advice on Cuba. Well, my greatest piece of advice is, run, don’t walk. Things are changing quickly and it soon will not be the place you have heard about and imagined. 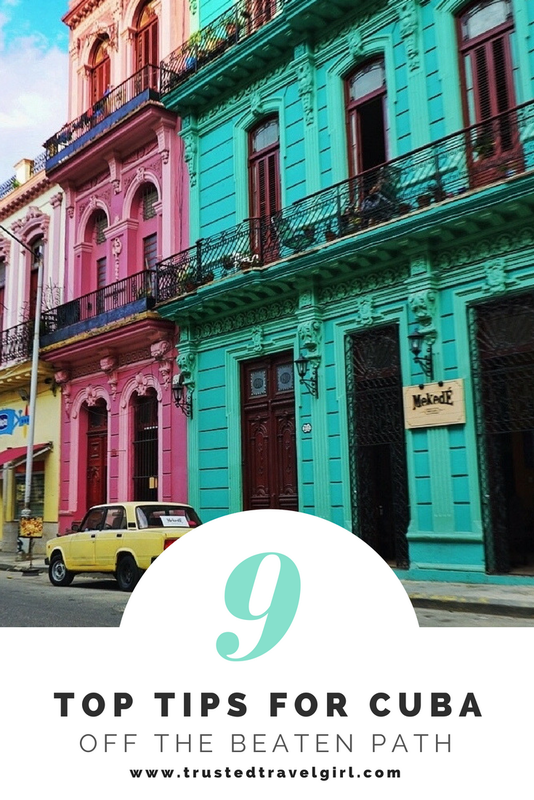 Now that everyone seems to be jumping on the Cuba bandwagon, the best way to visit Cuba is to have some experiences that few tourists will have. This one is quite touristy, but a great way to start your trip and get a lay of the land. Take a ride in an American classic car, preferably a convertible. You can find them anywhere, but you can pick out any one you want easily from Parque Central right near El Floridita and the Iberostar Parque Central Hotel. This is where you get the instagram shot that you have been waiting for. Additionally, you can probably find one of these to rent for a day. Pick out a few spots you would like to visit and drive yourself, most visitors won’t be getting that opportunity. If you wish to indulge in the staple drink of Cuba, there is no better place to go than El Floridita. A bar frequented by Ernest Hemingway, El Floridita boasts a bronze statue of the writer in the location where he used to sit and enjoy his daiquiris. Though the daiquiris today are not made the same way they were when Hemingway used to drink them (they now use blenders to keep up with the demand), they are still just as delicious as ever. Hemingway is said to hold the all-time record here, 16 daiquiris in one sitting... and it should be said he drank them as doubles. Ask for the bartender Abel, and if you are nice he may even be willing to share their trade secrets. I had the pleasure of going behind the bar and having Abel teach me how to make a real Cuban daiquiri. Compare Mojitos at La Bodaguita and the rooftop of Ambos Mundos. La Bodaguita Del Medio is famous for its mojito and for its reputation as the other bar that Hemingway frequented. Although you should certainly pay a visit for the sake of going, unfortunately this place probably had the worst mojito of my trip. The drink was warm and flat. Such a disappointment, but don’t worry because the best mojito in town is not too far away. The rooftop bar at the Ambos Mundos hotel is said to have the best mojitos in town, and the view from the roof isn’t bad either. Although this is a historic hotel, most tourists will be heading in to see the Hemingway room, and not heading up to the roof unless they are staying there. Until recently, restaurants just like hotels were all run by the government. However, in recent years the government has loosened the reigns and individuals have been allowed to begin their own businesses out of their homes (Ahh, the smell of capitalism). These restaurants are called Paladares. They range in price and quality, but if you know where to look, you can find some amazing food for a great bargain. Stay at Casa’s instead of hotels. My favorite options in any travel experience are the ones that lead me to live like a local instead of a tourist. With the first tastes of capitalism, Cubans are taking advantage of letting you rent space in their residence, much like a bed & breakfast. Spanish for “home,” casas are one of the most affordable options for lodging. This is an amazing opportunity to interact with the locals and break bread with your host family. I always jump at the opportunity to interact with locals and see how they live their day-to-day lives. Concerning Cuba, it is an exceptional time in history for Cubans especially those venturing into the untamed waters of capitalism in a still very much communist nation. The people that are renting rooms and working in tourism have quickly had their lives changed for the better. Most rooms rent for the equivalent of $30/night. Just to put that into perspective, the majority of Cubans make $40 a month. Although it’s taxed, that money is going directly into the pockets of the Cuban Entrepreneurs instead of the hotels, aka the socialist government. Staying in a casa can offer any traveler an unmatched insight into Cuban culture. Even if you happen to be the type of traveler that enjoys the amenities offered by a hotel, one night at a casa for the experience certainly couldn’t hurt. Visit Vinales, where all of the famed Cuban tobacco is grown. The plantations are beautiful. Most importantly, you can purchase Cuba’s hottest commodity, Cuban cigars, right from the source. Visit local farms and plantations, see how the tobacco is grown, aged, and rolled into a perfect cigar. Most importantly, these cigars will only cost you about $1 USD a piece, so it’s the perfect opportunity to stock up! The Cuban beaches are some of the best in the world, however there are some local secrets. When interviewing my friend Frank Alpizar, one of the most sought after tour guides in all of Havana I asked him what is place most tourists don’t see in Cuba that they should? “There are beaches near Havana where tourists barely go because they consider it to be very Cuban, but they should go there. They should go to the beaches, both on the east and west part of the city, because they normally go to the islands, and they’re nice but they’re very touristy. You should go to the beaches where Cubans go”. His suggestion is a beach by the name of Santa Maria. However you decide to spend your time in Cuba, make sure you understand that you are visiting a place that has been largely closed off to much of the world for decades. Although, upon arriving, you will realize that the US was probably more censored about Cuba, than Cuba was from the US. Regardless, remember that it is not a glamorous destination. Streets and buildings are in disrepair, hotels are oversold and having a hard time keeping up with demands from guests. Bring your patience, an open mind and you will be sure to have one of the most incredible life experiences. Bring too many expectations, and you will ruin it. Most importantly, get away from the other tourists and discover the real Cuba.